…because no job specification was written. No formal interview process took place. There was no assessment of how the candidates’ leadership skills match the requirements of the role, before the shortlist was finalised. 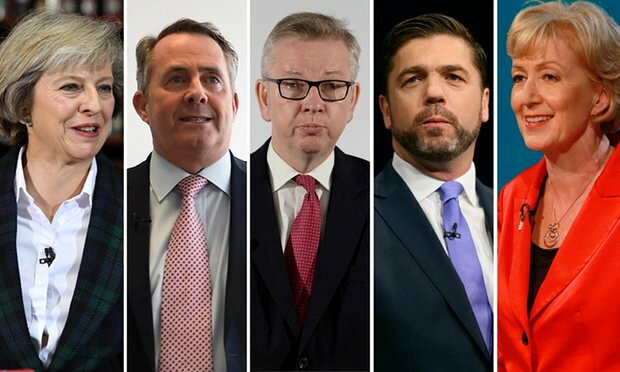 All the leadership hopefuls had to do was to “put their names forward”, assert why they were the best, and await the votes. And what if that list had applied to the appointment of Tony Blair, Jeremy Corbyn or to any other major leader in the country? None would have been appointed because they don’t and didn’t come anywhere near “ticking all the boxes”. The two front runners in the Tory leadership campaign have not advanced a vision, strategy or plan. I say now, that if Mrs. May is elected, and I agree that she looks like the strongest candidate, it will all end in tears. Being tough and hard working isn’t enough. She will need to demonstrate a willingness to acknowledge her own development needs as a leader and be ready to grow into the role. As yet, there is no evidence that she has that level of emotional intelligence. She and all political leaders should be forced to undergo Leasdership101 training – apparently there is a very good Civil Service Leadership Programme. Why not make them do that? But that won’t happen and sadly, there will be a major issue and she will fall back onto her comfort zone behaviour, as Mr. Blair did, and all will suffer. But she and he were merely players in a process that everyone supported. Mr. Blair is rightly in the dock over his behaviour. But what about those who appointed him and created a system allowing it? The same can be said for Jeremy Corbyn. He’s a man with a strong social conscience but manifestly not a leader. I don’t care what support he has from rank and file members and yes, he is technically right on that score, but he does not tick all the boxes above. He must create an environment in which his Parliamentary Party can thrive, whether he likes them or not. CEOs don’t have to love all their Board members. But they must help them thrive. I don’t know enough about the other front runner to comment but, so far, she doesn’t tick the boxes either. Nor did Mr. Johnson nor Mr. Gove nor the other two runners. So what am I suggesting? Well, where was the succession planning? Surely there must be someone with leadership potential amongst the hundreds of Conservative MPs? But until there is a new process which puts in place a system that nurtures the best leaders, not just the strongest personalities, then the future is bleak in politics. But you can do something about this today in your organisation. Put in place a robust leadership, succession planning, and appointment process. It will be painful, because the loudest won’t like it, but it will be worth it. Posted on July 8, 2016 by Ciaran Fenton. Bookmark the permalink.